Two and a half minute video clip from Oh My Disney: Untold, featuring show creator Daron Nefcy and taking a quick peek at the ins and out of making Star Vs. The associated article can also be found at Oh My Disney (where you will be greeted by a subscription box half way down). You might remember the Markey Mailer from the earlier days of the G4 community, and their interview with Peter New and Cathy Weseluck. They have returned with an interview with MLP story writer Ed Valentine to talk about the episodes he wrote during Season 4. We’ve snagged a few highlights, as the full article can be read over on the Markey Mailer. The premise of the episode features the school children coming up with different ways to perform a show in the opening ceremonies of ‘The Equestria Games’, the equivalent to the Olympics in the series. “The idea is that it was the kids, the little ones, gearing up for the Equestria Games,” Ed said, “trying to do something so that they could be part of it but not quite knowing how.” One of the children named Scootaloo finds herself convinced that if she can’t fly her performance will not be as good as her classmates’. Try as she might, she just can’t and she becomes frustrated and disappointed. The hiatus can be hard on us all. Without new content to inspire it can be hard for some artists to crank out new content. On the other hand it is a great time for new talent to arise and fill the gap with the seasonal regulars. Recently I had the pleasure to sit down and interview one such rising talent over Skype to get some light insight into why he decided to make music in a genre we don’t see too often in this fandom. 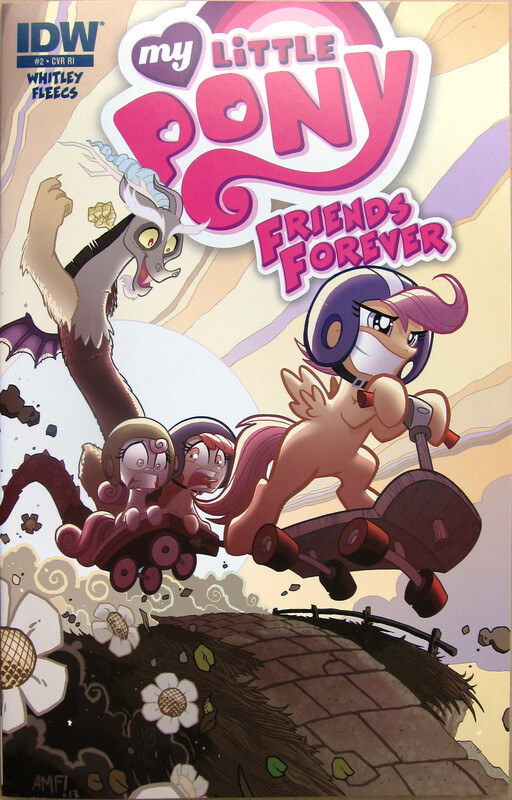 Comic Book Resources has done an interview with comic writer Ted Anderson, where he talks about Equestria Girls, his work on the holiday special coming out next month, and his history with the comics, the show, and himself in general. In addition, the interview also gives a three page preview of the upcoming special. You can find the preview below or by checking out this link where you can find it and the full interview.